Technology is all around us and it has made its way into every corner of our lives, most notably is the modern-day smartphone. 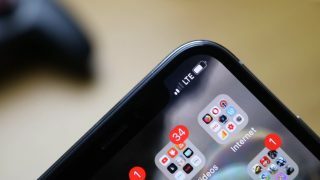 However, these smartphone devices, like the iPhone X, don’t come without their issues. For example, imagine if you’ve accidentally deleted a contact on your device and have no way of recovering it. After all, it’s not as though there’s a trash bin where you can restore them. Does this mean the contact is gone forever? Thankfully not. 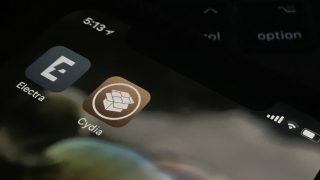 Using a third-party software program known as dr.fone – Recover (iOS), restoring these contacts, even if they’ve been deleted without a backup, is still possible. Note: Before running the dr.fone – Recover (iOS) software, please make sure you have downloaded and installed the latest version of iTunes. You also need to do the following; click Preferences > Devices and then checking the ‘Prevent iPods, iPhones, and iPads from syncing automatically’ tick box. Head over to the dr.fone – Recover (iOS) website. Download the software for either your Mac or Windows computer. You can buy the software outright, or you can sample the power of the program using the free trial version that’s available. Double-click the downloaded package to install dr.fone – Recover (iOS) onto your computer. You can follow the on-screen instructions that will guide you through this process. Using a USB cable, connect your iPhone X, or any iOS device you might have, including iPads, to your computer. If this is the first time you’ve connected your device to your (Windows) computer, you may have to wait until the correct drivers are installed. You may also need to accept the ‘Trusted Computers’ notification that appears on your device. 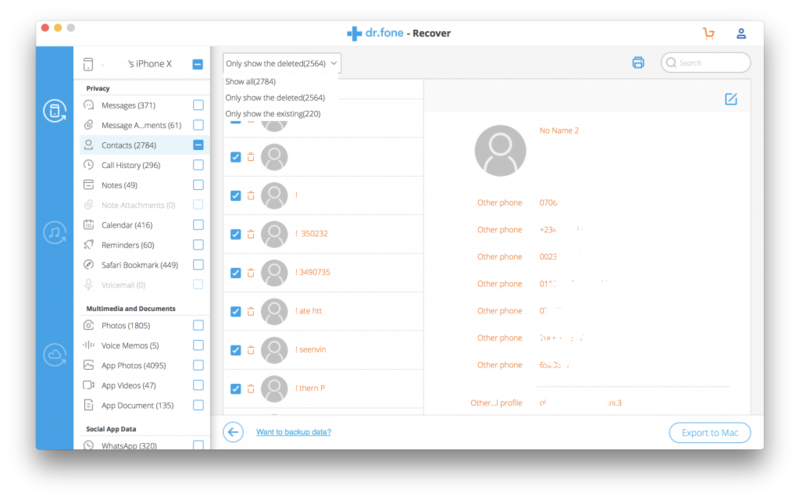 Open the dr.fone – Recover (iOS) software. On the main menu of dr.fone -Recover (iOS), click the ‘Recover’ option. The software will then read and identify your device. As you can see, you can choose anything from old text messages and call history logs to internet bookmarks and even WhatsApp messages. In this situation, select the ‘Contacts’ tick box. Click ‘Start Scan’ in the bottom left. The scanning process will take a couple of minutes to complete. This will also depend on how much data you’re trying to recover at the same time and how much data is on your device. The results will be shown in the software as you scan. If you see the data you wish to recover halfway through the scan, simply click the ‘Pause’ button to access your data. If not, wait until the scan is completed. When the scan is completed, you can see all the data on your device, including both lost and existing content. Using the menu on the left-hand side, you can filter through your results until you find the data that you want to recover. There are multiple ways you can additionally filter your results. You can show only deleted files, only existing files or even search for each file individually using the search bar. When you’ve found the files you wish to restore, you can use the tick boxes to select all the files you need. Then, use the ‘Export to Mac’ button on the bottom right-hand side or ‘Recover to Computer’ button if you’re using the Windows version. Note: When recovering files, by default, these files will be restored to your computer for you to sync back manually or using iTunes. 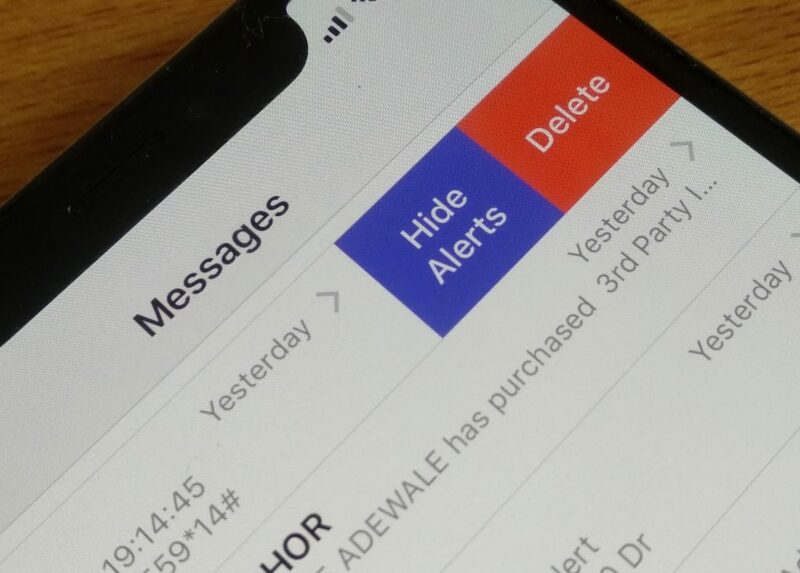 However, when you’re recovering contacts, text messages, iMessage files or notes, you may see an option asking you if you wish to restore the files directly back onto your device. For this option, simply click the ‘Recover to Device’ option. 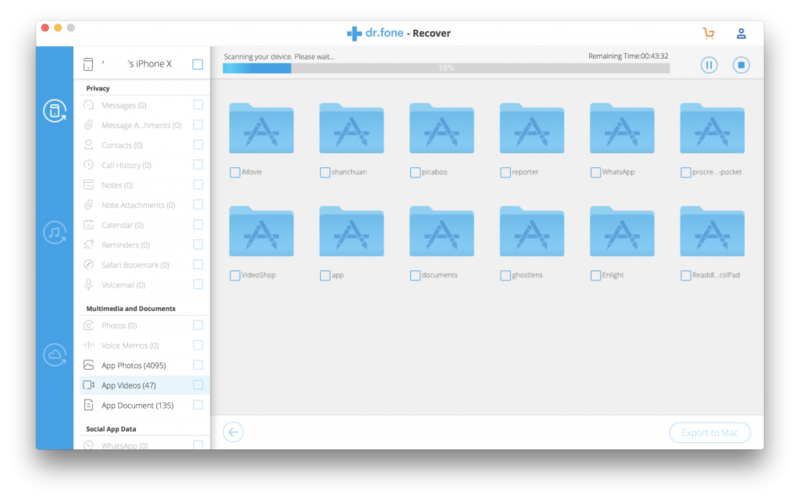 The dr.fone – Recover (iOS) is a powerful data transfer tool that can help you restore and protect the data that matters to you, created by the multi-award-winning company, Wondershare. In fact, the dr.fone toolkit is one of the most popular phone management applications, compatible with both iOS and Android devices. 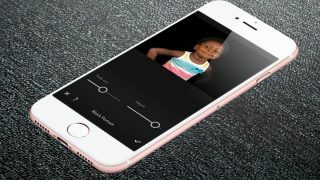 In addition to restoring contacts, you can also recover images, music files, videos and past social media conversations. You can even back-up your device, transfer files effortlessly between your computer and your device and hard reset your device for selling or disposal. 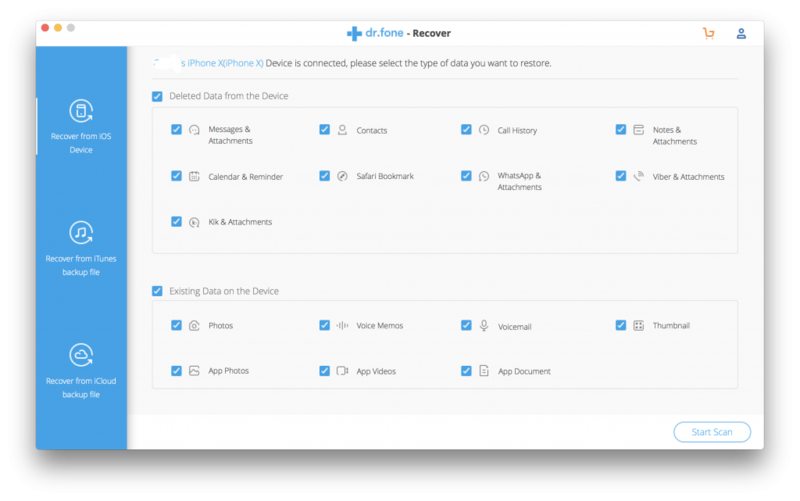 Not convinced that dr.fone – Recover (iOS) is right for you? Download your free trial today and give it a go yourself and see how easy to is to take back control of the data on your iOS device! 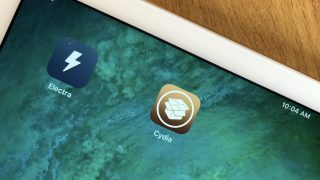 Recovering lost or deleted contacts from any iOS device can be completed in just a few small steps. 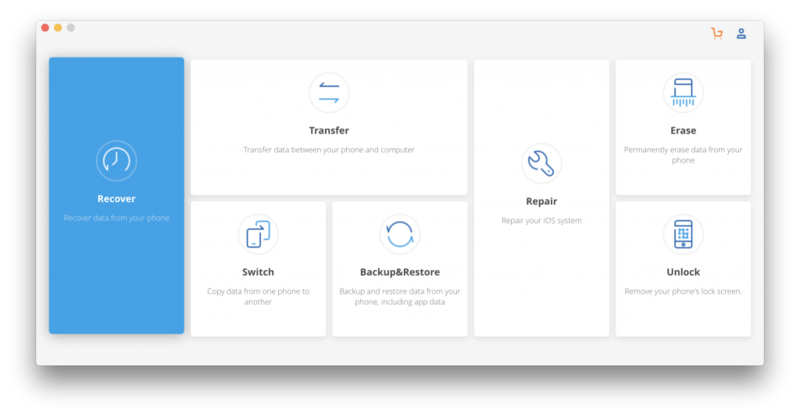 Making sure that you have an application like dr.fone – Recover (iOS) ready can be extremely beneficial when it comes to recovering all kinds of data from your device. It’s safe to say our smartphones are a huge part of our lives, the data contained can be very important. Recovering them when lost shouldn’t be impossible. 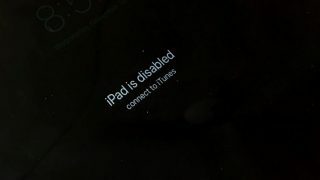 It is known to all that Apple provide users with iTunes and iCloud service to help their users backup iDevice data to avoid losing them by accident. So if you have tried to find lost contacts from iPhone or iTunes but failed, we strongly recommend you to try to find back your deleted iPhone contacts from iCloud backup. Here, you may need to turn to a professional data recovery program for iPhone devices – Doctor for iOS (Windows) . It could be the best iPhone Contacts Recovery program for Windows or Mac users, and can help all users rescue the deleted, lost or formatted contacts from all generations of iPhone without any limitation. 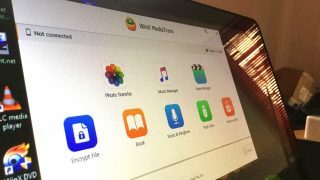 What’s more, the program also provide the restoring mode of finding back your lost data from the iPhone backup files, so if you have backup files before, you can try the method according to your own needs.